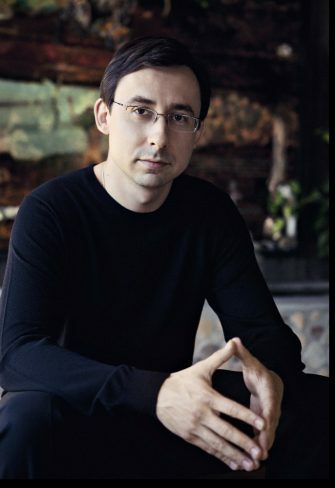 Alexander Kobrin has won top prizes in international piano competitions, including the Nancy Lee and Perry R. Bass Gold Medal at the 2005 Van Cliburn International Piano Competition, First Prize in the Busoni and Scottish competitions, and Top Prize at the Hamamatsu competition. Kobrin has released recordings on the Harmonia Mundi, Quartz, and Centaur labels. His recording of Robert Schumann’s Carnaval, Waldszenen, and Arabesque was named a Top 5 Album of the year by Fanfare magazine in 2015. Gramophone praised his performance of Rachmaninoff’s Second Sonata on the Cliburn Competition disc, noting “Kobrin achieves a hypnotic sense of the music’s dark necromancy.” He also has recorded three volumes of Chopin works and a Haydn CD.